Kolby Morgan checks out from an AAC tournament game. Morgan will go down as the Green Wave's second leading scorer all time. 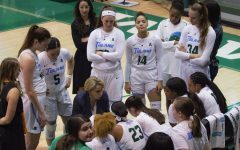 Though the season came to a close, Tulane women’s basketball had an impressive final performance in the American Athletic Conference Tournament this past weekend in Connecticut. 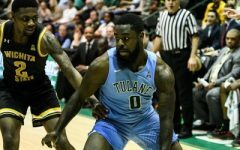 After pulling off an impressive 76-64 victory over the University of Memphis in Saturday’s first round, the Green Wave fell 82-56 to No. 1 University of Connecticut on Sunday. Saturday’s victory against the Memphis Tigers was fueled by senior guard Kolby Morgan’s excellent outing. Morgan led the Wave with 27 points, eight assists and eight rebounds. She also hit the 2,200-point mark in-game, becoming the AAC all-time leading scorer in tournament and regular season in-conference games. While the game began as a back-and-forth battle, the Wave progressively began to open things up on the offensive end. Beginning in the second quarter Tulane took total control, locking down on defense and closing the first half on a 15-4 run. The aggressive defensive strategy of coach Lisa Stockton proved absolutely vital to the team’s performance. By the night’s end, the Green Wave had forced a total of 19 turnovers, resulting in 23 points. 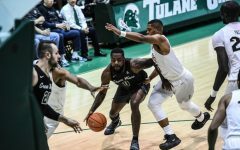 While Sunday’s matchup against UConn was not as successful for Tulane, the team held strong in going up against the No. 1 team in the nation. While the Huskies defeated the Green Wave by 53 points on Jan. 27, Tulane cut that margin to only 26 in this tournament matchup. Once again, the Wave was led by Morgan, who scored 21 points, four rebounds and three assists on 8-18 shooting. Morgan was not without help, as junior center Harlyn Wyatt contributed four points, eight key rebounds and two steals. 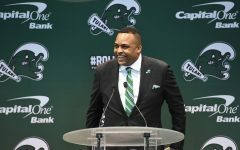 Morgan, as well as guard Caylah Cruickshank, will depart Tulane following this season. Morgan will go down in the record books with the second-highest career point total in team history at 2,240. In addition, the senior becomes the Wave’s all-time leader in games started and made field goals. Cruickshank will end her Green Wave career with 176 points and 98 rebounds in her 96 games. 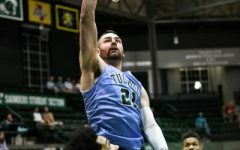 Tulane will not be without leadership in the coming year, however. The Green Wave has five juniors to rely on for leadership and on-court performance. The team also has several promising freshmen and sophomores, such as sophomore point guard Kayla Manuirirangi, who have just begun to showcase their talents. 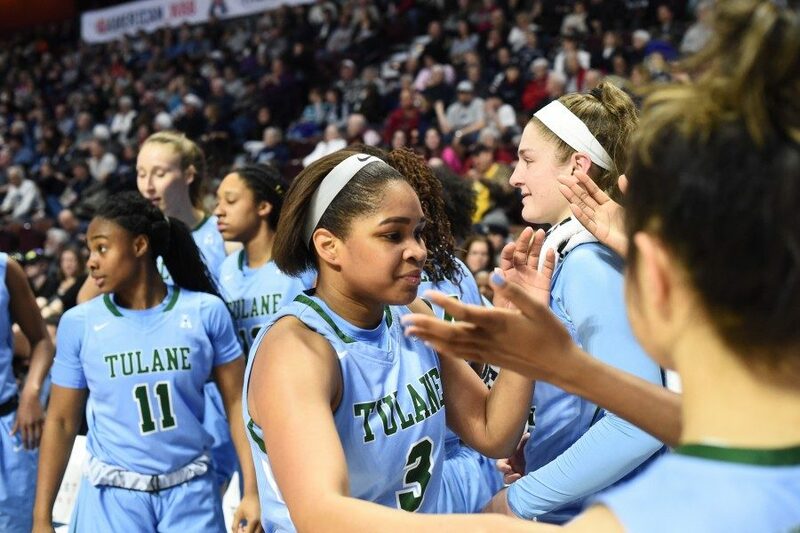 This season is over, but the story has just begun for this era of Tulane women’s basketball.